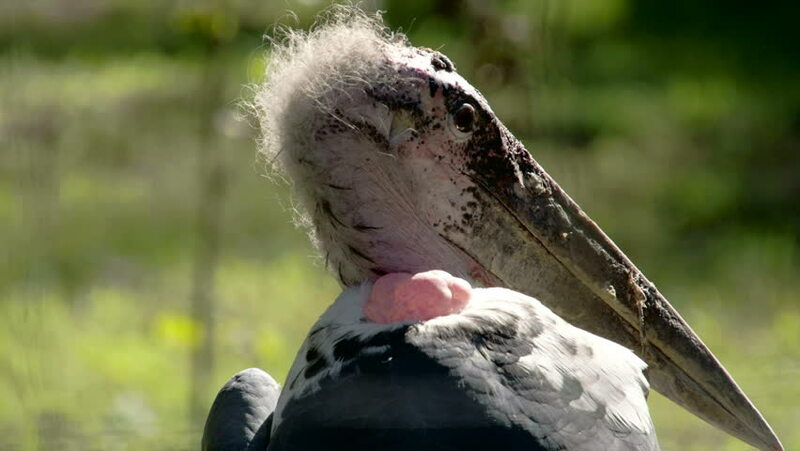 4k00:12The marabou stork with its long ang big beak it has a hairy head and round small eyes. The marabou stork (Leptoptilos crumeniferus) is a large wading bird in the stork family Ciconiidae. 4k00:27Close-up of head of marabou stork. Head moves slightly left, then back to right.Eye is blinking.